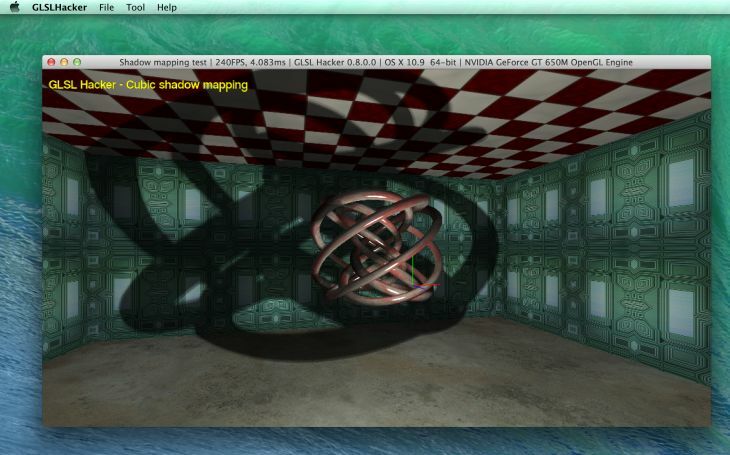 GLSL Hacker 0.8.0.0 supports shadow mapping with omni-directional lights. Omni-directional shadow mapping is cool because a light can cast shadows in all directions. 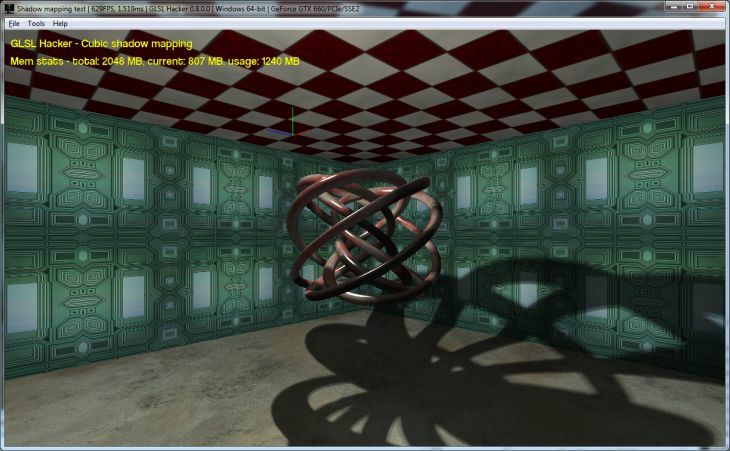 Omni-directional shadow mapping (or cubic shadow mapping) relies on a cubemap and requires 6 passes to render the scene. 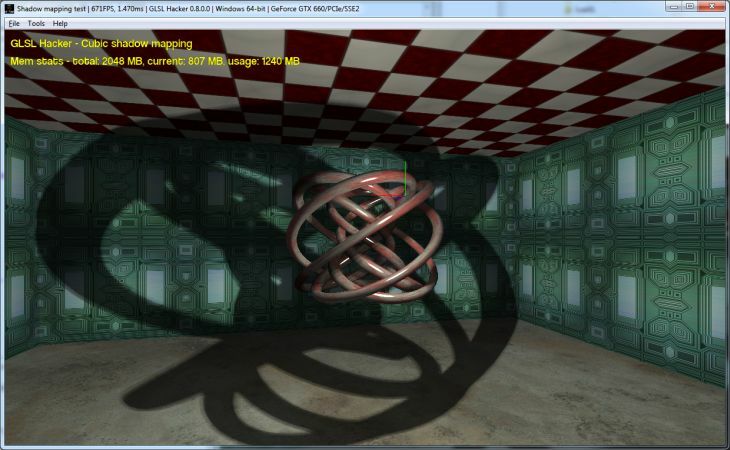 This demo is available in the host_api/Shadow_Mapping/Omnidirectional_Shadows/ folder of the code sample pack v2.25.0.